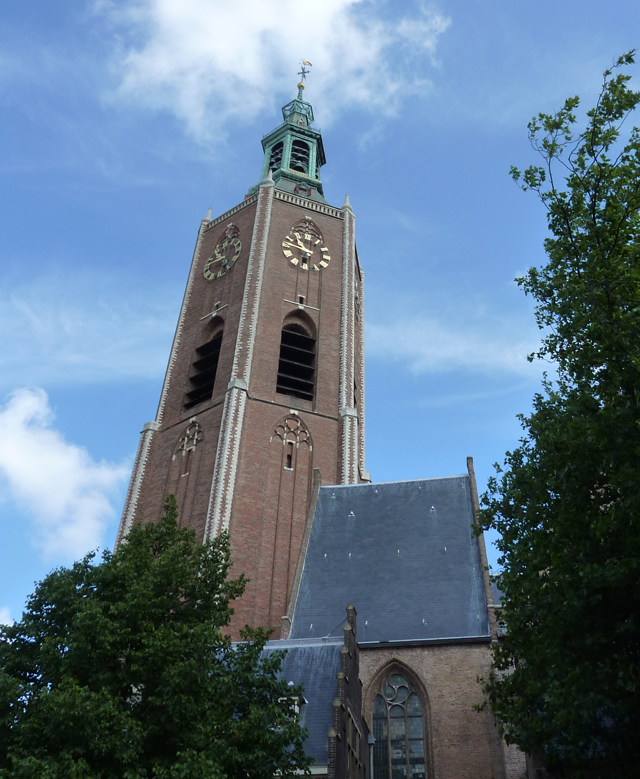 The Stork of The Hague (1) – On the Big Church – Absolutely The Hague! The coat of arms of the City The Hague contains a stork, for ages already. Two weeks ago, for the first time, I met several participants of Opûh Koffie (Open Coffee), an unstructured group of The Hague loving Hagenaars and Hagenezen (i.e. citizens of the Hague …. the difference of the two terms will be explained in due course) who come together at Aan de Overkant (Opposite or At The Other Side in English) each Wednesday morning at 9.00 hr AM, Just to drink a coffee with each other, to chat and sometimes to make photos or discuss photography. Today I’m hoping to attend my second Opûh Koffie. After that Opûh Koffie one of the participants, Stork Frans, gave us a sneak preview of his “The Hague Stork Walk”. A wander route with a map and descriptions that shows you various storks on and around buildings in The Hague. Frans has put it together to insert in a photo book he is producing from his collection of over 800 photos of storks. He hopes to publish this book in October 2010. While we were wandering around I’ve shot a couple of stork photos. I will share some with you here. 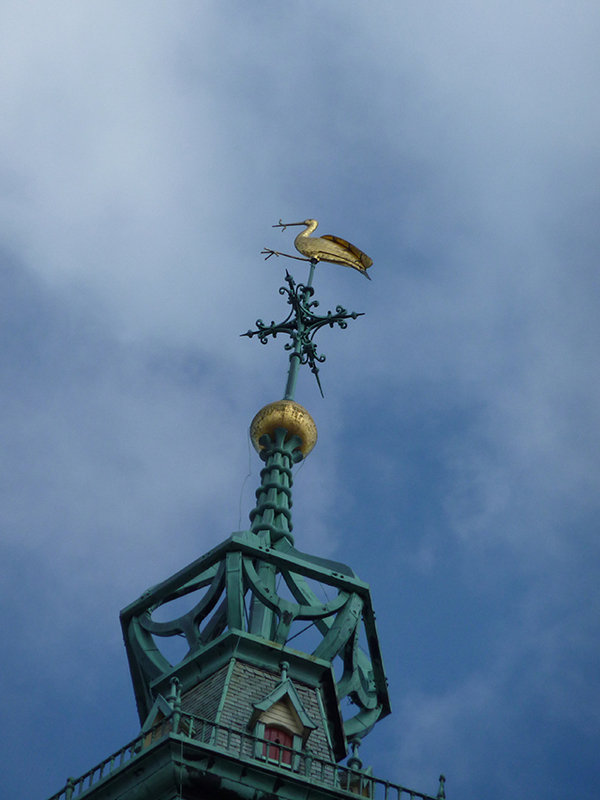 The first is the stork on top of the Big Church which I didn’t know was there until Stork Frans pointed me to it at the start of his Stork Walk.